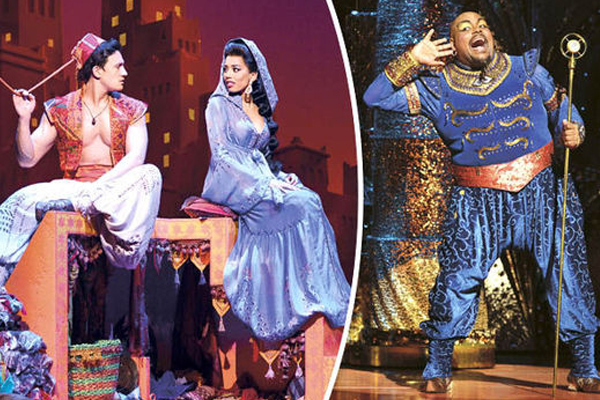 MUMBAI: After getting a successful opening in Mumbai, Disney India's Broadway-style musical based on Aladdin will premiere in Delhi in July. The show will premiere in Delhi on July 6 at Jawaharlal Nehru Indoor Stadium, read a statement to IANS. Online entertainment ticketing platform, BookMyShow is the producer with exclusive rights for the Indian production of the show. The musical is inspired by Disney's original Broadway production that is playing in London, Tokyo, Hamburg and is on tour in Australia. The story of Aladdin has been re-imagined and developed by Indian talent to make it locally relevant, without losing the original essence of the Broadway show. Disney India Live Entertainment and Local Content Studio Head Vikrant Pawar said, "Disney's Aladdin has universal appeal and continues to inspire audiences of all ages. At Disney, we are always looking for opportunities to bring these great stories to life for our Indian fans." The Indian production of the musical boasts of extravagant sets depicting 14 locations, 450 lavish costumes, a flying magic carpet, beautifully choreographed sequences, and many special effects. "The show, with its talented cast, is a visual spectacle packed with tremendous high energy dance, drama, music and magic to appeal to audiences of all age groups," she further added. 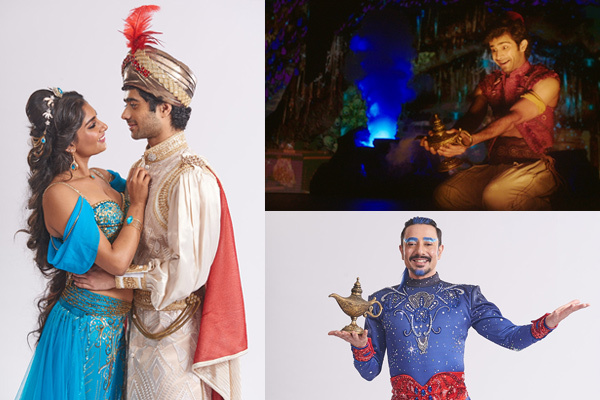 The story is staged by over 50 performers, including Siddharth Menon (Aladdin), Taaruk Raina (Aladdin), Kira Narayanan (Jasmine), Mantra (Genie), Roshan Abbas (Jafar) and Vikrant Chaturvedi (Jafar). BookMyShow founder and CEO Ashish Hemrajani said, "After a fantastic opening season in Mumbai, we are delighted to bring our first theatrical production to Delhi. It is an extravagant visual feast, filled with music, joy, and loads of theatrical magic and cannot be missed." The tickets for the show will go live on BookMyShow from 9 June onwards. Originally produced by Disney Theatrical Productions, the show features music by Tony Award and eight-time Oscar winner Alan Menken, lyrics by two-time Oscar winner Howard Ashman and three-time Tony Award and three-time Oscar winner Tim Rice. In 2015, the Beauty and the Beast stage musical mesmerised the audience with its Season I (2015) and Season II (2016) that had local talent. MUMBAI: Emmy Award-winning British Pakistani actor and rapper Riz Ahmed is producing and starring in the music drama Mughal Mowgli, which he has co-written with director Bassam Tariq. MUMBAI: American singer Tyrese Gibson will star as late singer-songwriter Teddy Pendergrass in a biopic.